What It's Like: Nice river running through a deep, arid canyon. 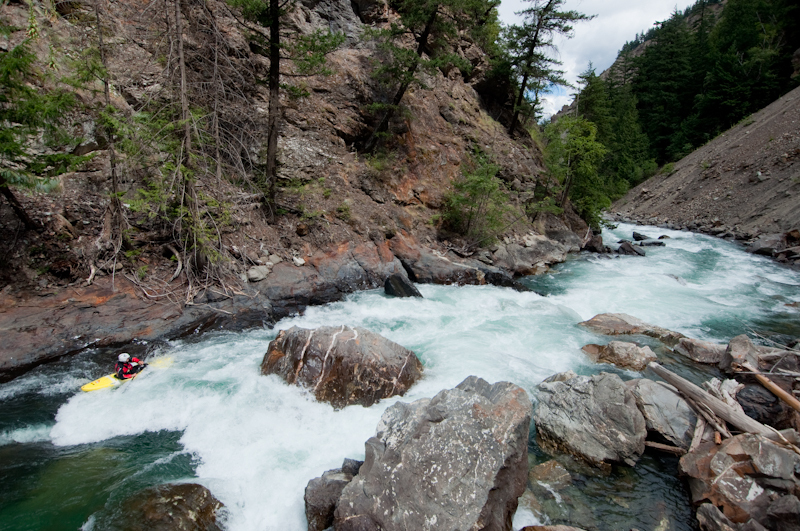 Classic scenery and good whitewater. Class: IV+ at medium levels. Level: Visual at the put in/take out. When To Go: Later half of the SW BC season - July-August. Spring is possible. 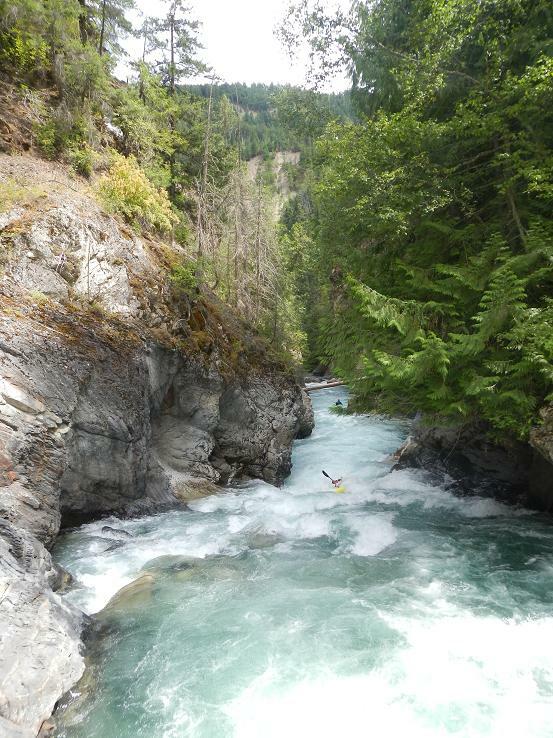 Cayoosh Creek is a nice river tucked away on the far side of the Coast Mountains of SW BC. 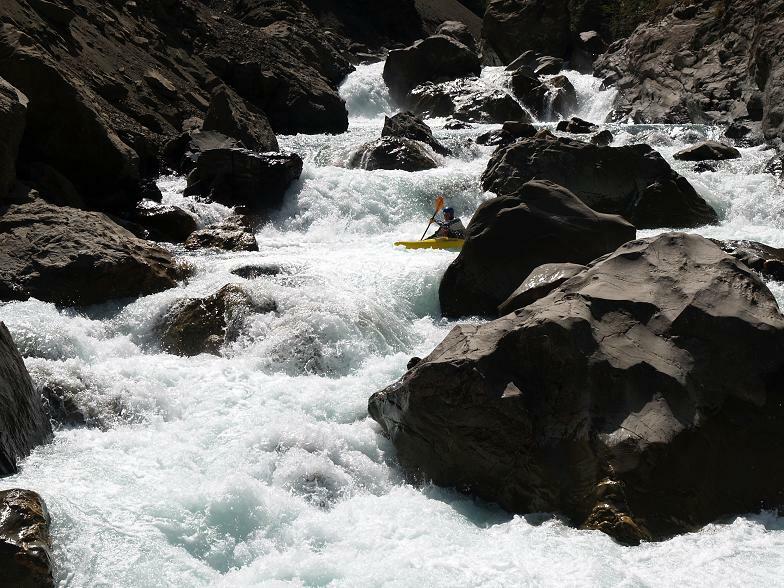 Similar to the Hurley River in character but slightly easier, the Cayoosh is also full of mind bending scenery and good (but not classic) whitewater. Starting high up in the mountains above Pemberton, the Cayoosh runs along nearly the whole length of the Duffey Lake Road down to the town of Lillooet where it joins the Fraser River. The classic section of this river, described here, is worth checking out especially if you're in the area or if you have a little extra time to drive. 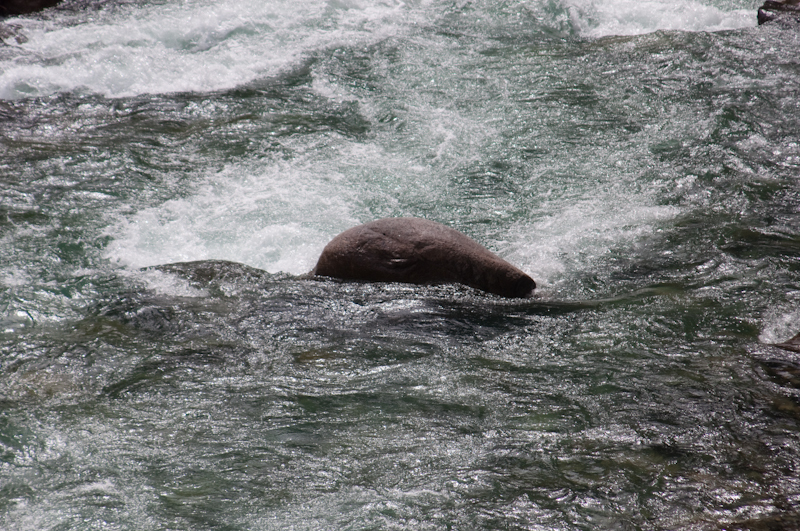 The Cayoosh is a great resource in that it is at good flows when the runs in Whister start to drop out for the season. Look to the Cayoosh later in July and August. Unfortunately there is no online gauge and the flow is read visually only. There is a photo below of a distinct rock below the put in bridge that shows a nice medium level. This river is unreasonable to attempt at the height of the snowmelt season. You can also paddle this river in the spring (May) before the rivers really roar to life. Access to the Cayoosh is easy, from the well-travelled Duffey Lake Road that runs between Pemberton and Lillooet. 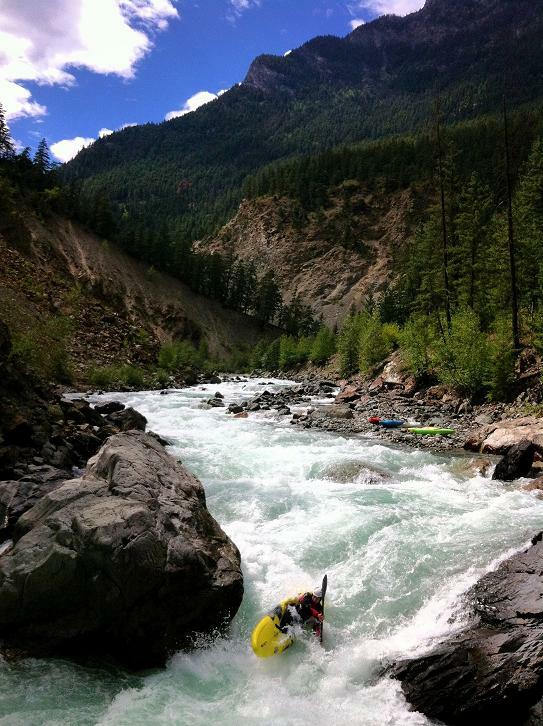 The put in is close to 1.5 hours from Pemberton, and about 15 minutes from Lillooet. The put in is at the last major bridge above Lillooet where the road switches from river right to river left (coming from Pemberton). The road climbs far away from the river if you continue on towards Lillooet. Be sure to put in at the correct bridge - there is a much gnarlier section on the Cayoosh directly above the classic put in. The take out is reached by following the main road downstream. Approximately 6.5 km down, you will find a dirt road on the right. Once on the dirt, take a right (the left is gated) and drive until you reach a bridge over the river. From the put in bridge, the Cayoosh starts off mellow. Things build slowly as the river runs through a forested valley. 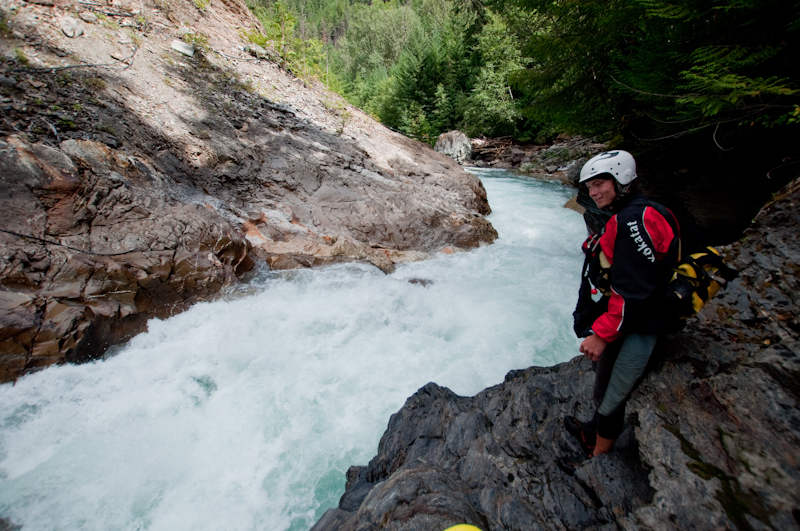 As the forest changes to crumbling dirt and rock walls, the whitewater picks up - scout where appropriate. 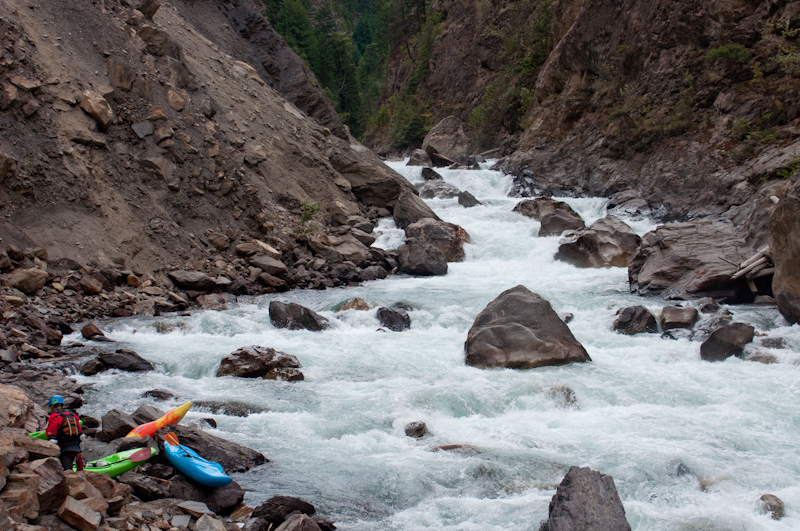 The rapids on the Cayoosh are fun but they can be rocky, even when there is a lot of water. 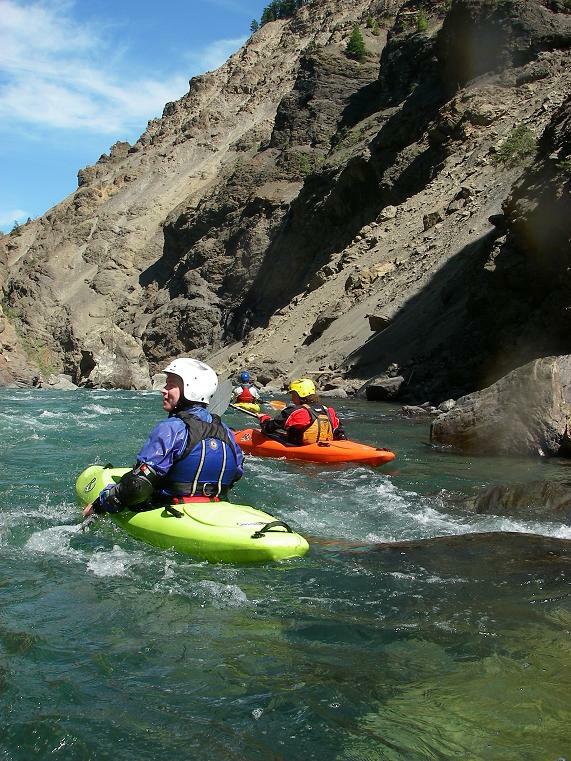 The biggest rapid of the river comes in the first few km, and is signified by a large horizon line and a steep crumbling bank on river right, where you get out to scout. 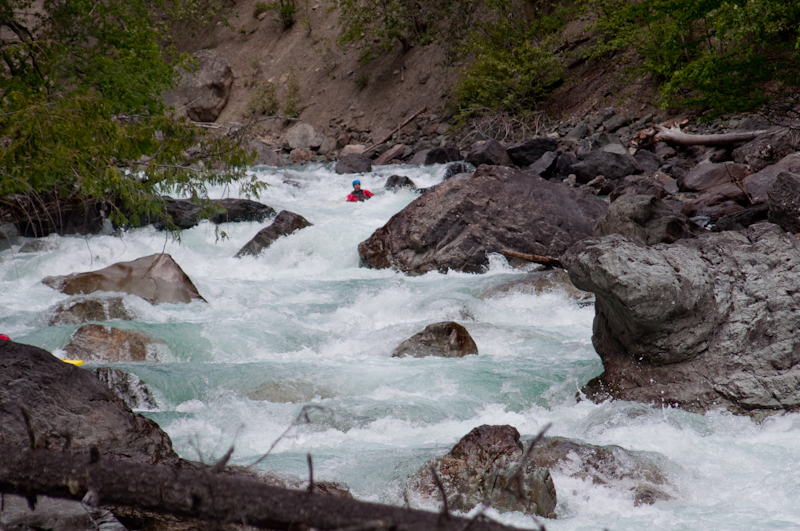 Scouting is easy - the main (top) part of the rapid is often portaged to an eddy immediately below the big drop. Portaging further is sketchy but possible. Good rapids continue below. 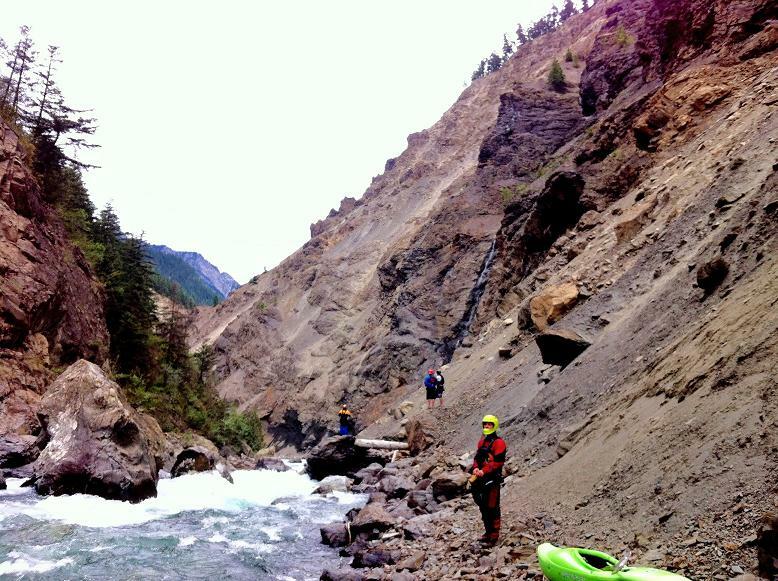 When the river opens up to wide bouldery rapids it's not over. Just before things wind up for good, you'll encounter a mini-canyon with some class III-IV rapids at the start. It's all good to go, but it would be difficult to portage anything in there. 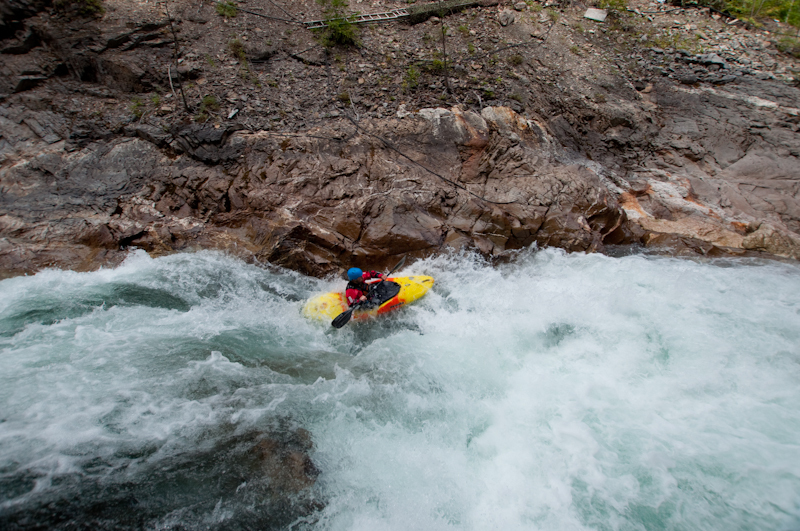 The mini-canyon ends will a flush box style rapid that is intimidating to look at, but is fun the paddle. Below here there is another couple hundred meters of rapids and you'll quickly reach the take out bridge. Enjoy this run! Keep in mind that road is far, far away from the water for most of the run and walking out should only be considered in the case of an emergency. 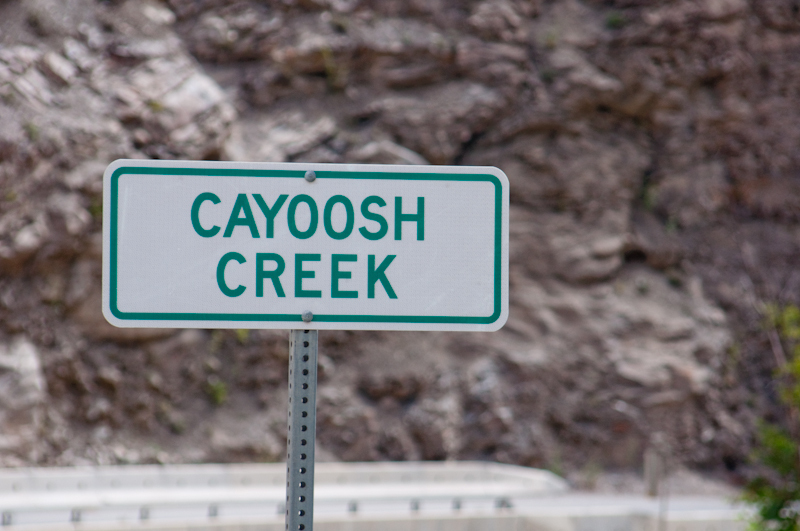 Cayoosh Creek put in sign. A rock just below the put in bridge that can possibly be used as a gauge - this is medium. Starting off right - one of the first rapids. The first rapid you can't easily see down. It's a straightforward rapid. The horizon line at the biggest rapid of the run. Photo Mason Lacy. A vintage photo of the big one at low water. Photo Maxi Kniewasser 2006. Run out of the big one at medium water - scouting the next corner. Vintage photo at an unknown location - awesome clear water. Photo Mike Shook 2006. Entrance to the mini-canyon near the end of the run. Photo Ali Marshall. Downstream view. Photo Mason Lacy. The boily rapid at the exit of the mini-canyon. Wall smear. Drop in and hold on - it's more exciting than it looks here.